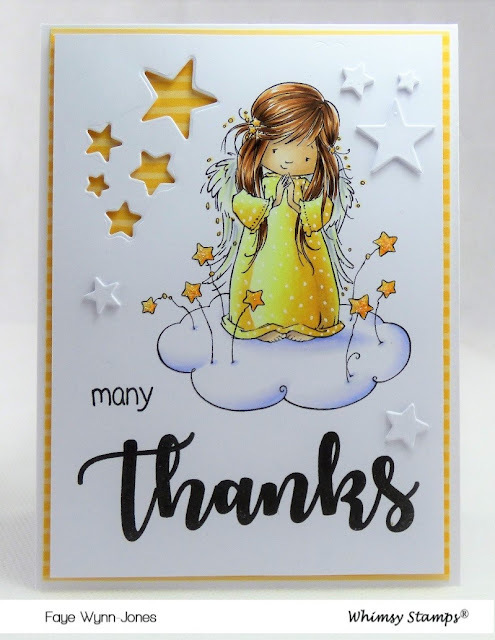 The beginning of the month means it's time for a new release from Whimsy Stamps and it's a gorgeous one. (When is it not?!) This little beauty is called Angel Nevaeh. Isn't she adorable? Talking of the UK, if you have snow this weekend, stay safe and warm. I love this sweet angel. The colors you chose are wonderful and the cut out stars are a perfect accent.